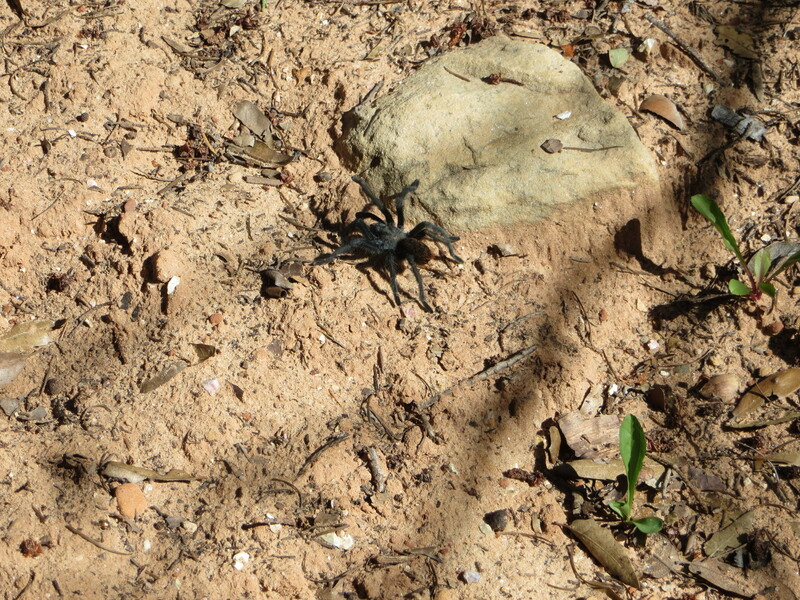 Yes, that’s a tarantula. In the wild. In his glory. Actually, the husband was walking in front of me and almost stepped on him. That would have made quite the splat on the bottom of his shoe. I danced around a bit before settling in to get some photos. 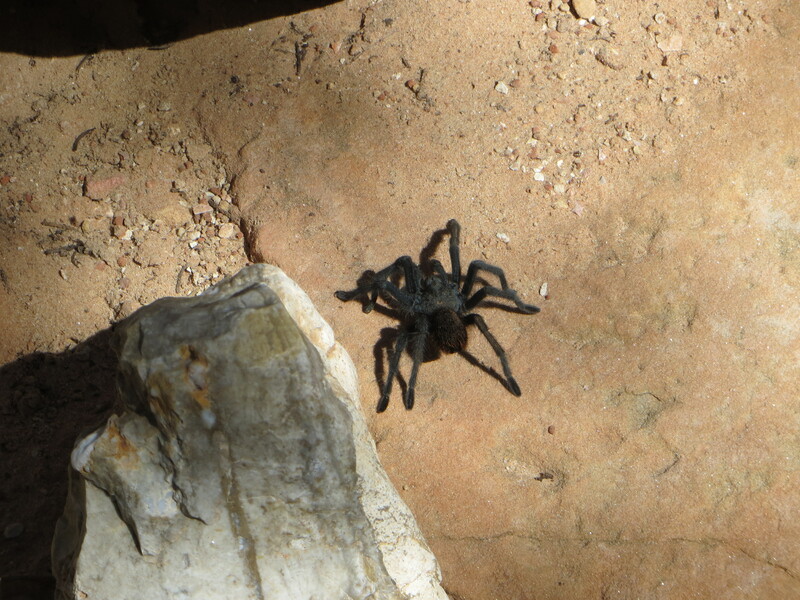 As I drew closer…and closer…the husband casually said, “Hey, you know they can jump, right?” That was the end of photographing the tarantula. I am glad you had the guts to take the picture! Big hairy spiders are definitely creepy, whether they can jump or not! Any spider is creepy in my book. And I automatically assume they can jump. They certainly make me jump.